All America is eating right now, it seems, is bars. Bars for breakfast, bars for lunch. Oat bars, paleo bars, protein bars, bars for women. Bars! Bars! Bars! Carefully laid out in front of you are upwards of 35 brands and 150 individual products: Clif, Epic, Kind, Larabar, Luna, Picky, ProBar, RX, Tanka, Skout, Soyjoy, Taos Mountain, Zing—perhaps dozens more. Although these bars are sometimes barely distinguishable from one another if you remove the wrappers and serve them on a platter, they’re each carefully positioned to target a specific desire among consumers: breakfast, protein, vitality, paleo diet, women’s nutrition, gluten-free diet, and meat (yes, meat), to name a few. “In terms of growth, bars are unparalleled. 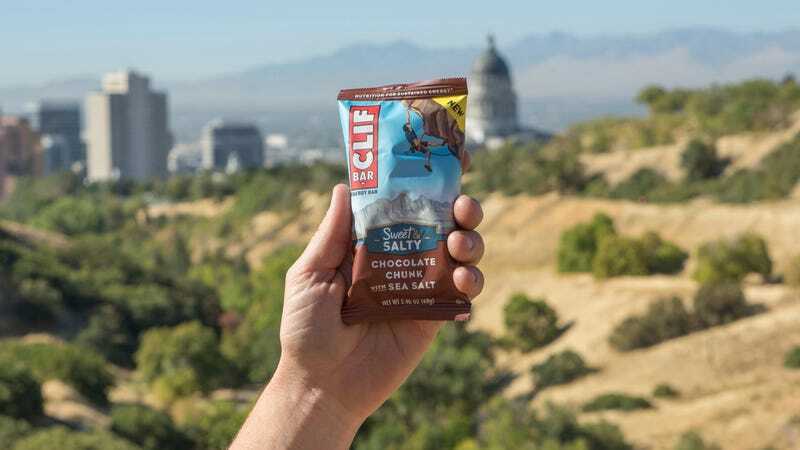 It’s the fastest-growing segment in the grocery store,” Clif Bar’s former senior vice president of brand marketing Keith Neumann told the magazine. Read the full piece here; I’m gonna go find a damn vegetable to eat.